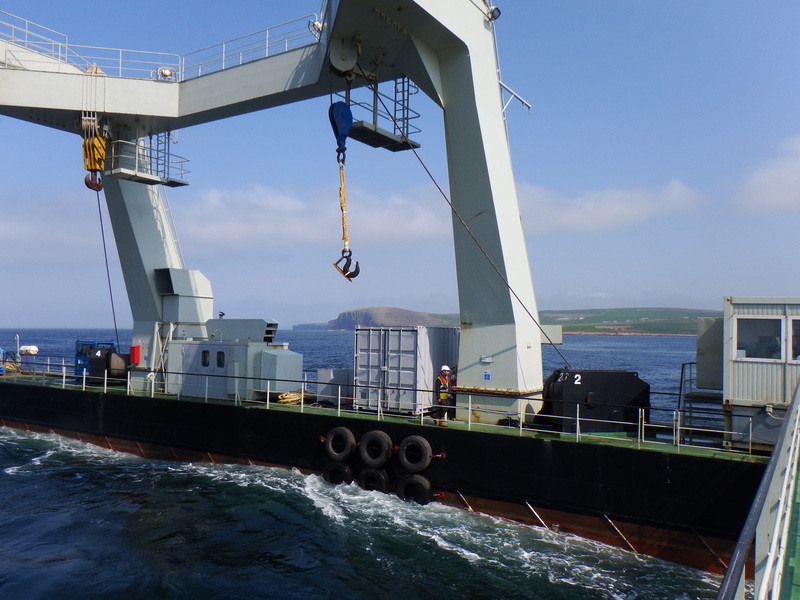 It is easy to become blasé about the fact that the technology to harvest wave and tidal energy is being seen routinely on Hatston Pier, at Lyness, or going out past Stromness to Billia Croo. 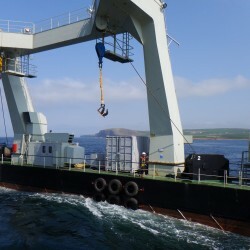 The strange machines being seen around Orkney are the results of years of development work by individual and often isolated teams of people from all over the world. They all have one objective in mind: to create a means to harvest energy from the sea. Orkney is proud that it is hosting this innovation and is delighted to welcome the trade and the visitors it creates. But Orkney must not forget that this is presently the only place in the world where this is happening at this scale. And it is the only place at the moment because it is pioneering in a new frontier. And pioneering is a hazardous and unpredictable activity. The scale of the endeavour is mind-blowing on occasions, and what we see on the piers and in the water is only the tip of the iceberg of effort that has gone into the design of these remarkable machines. The unseen design and engineering, the planning, raising finance and the logistics of getting the machines are all testament to the determination of the sector. Add to this the efforts to study the stresses and strains, the conceptualisation of the way they will interact with the environment, the planning for safe operations and finally their integration into the grid and all of a sudden you realise that this is a whole world of possibility. A world that is going to need generations of imaginative, capable people to bring it to fruition. And it is all starting here; in Orkney. But is it real? Is this really going to happen? I believe the answer is a firm ‘Yes’. In the week this article is being written (w/e 25 August 2013) we have had 4 different wave energy machines on site (half generating, half being commissioned/overhauled), 2 tidal devices generating on site and four at Hatston pier waiting to be installed or having returned from test. Each of these projects represents millions of pounds of investment, and practically none of it would be in Orkney if Orkney Renewable Energy Forum (OREF) members had not highlighted the opportunity for Orkney back in the late 90s. 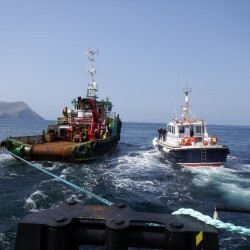 The Islands Council listened and Highlands and Islands Enterprise who had been actively seeking to initiate a test centre brought other funders together in a remarkable public partnership around the formation of the European Marine Energy Centre – EMEC. 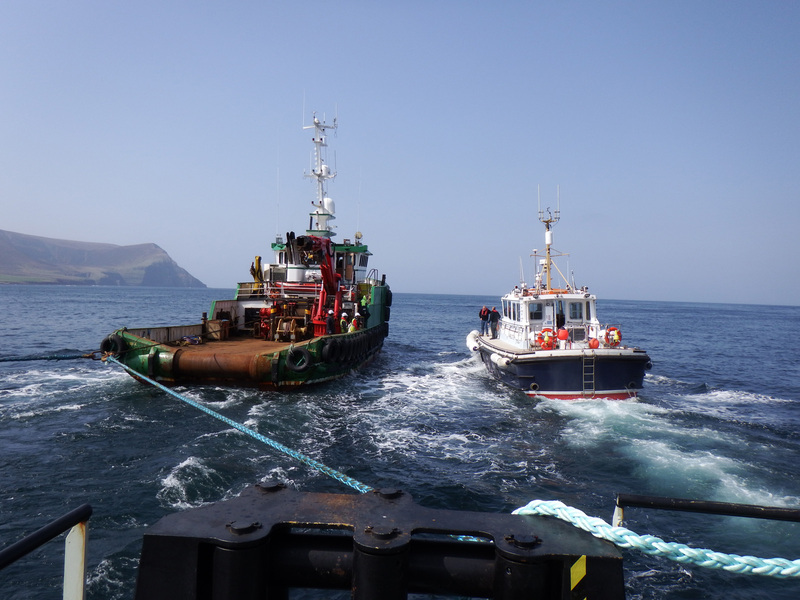 10 years after EMEC was formed, the fruits of that lobbying and intervening support and hard, unstinting work are paying off and it is now estimated that over 250 people in Orkney are making a living from this new industry, and plans are well developed for more and more activity in the waters around the County. Of these 250, only a small proportion are in companies with actual devices: most are in the supply chain ie the companies providing services to the device developers. These companies shift, lift, wire, paint, store, service, plan, measure, observe, photograph, record, dive, dock and a myriad of other tasks for the industry. All are doing useful, productive work in the community and getting paid for it. This really is part of the Highland renaissance that has been sought for years and there is every sign that it is really taking root. And this is hopefully just the start. 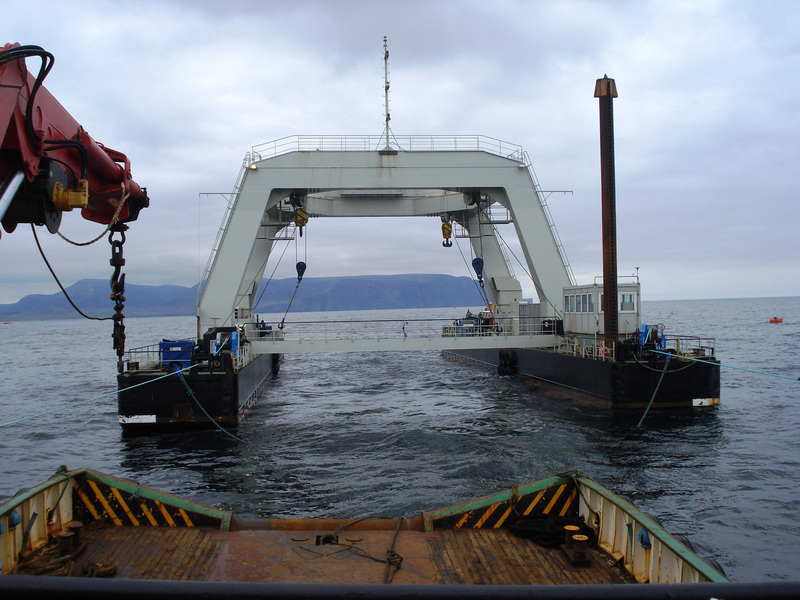 The scale of the resource around Orkney is huge, so the numbers of machines eventually destined for the waters around the county will amount to thousands. Not the dozen or so presently popping in and out of the water. And these machines will all need the services above and many more for years to come. So this really could be a major employer once we work out how to do this economically and at scale. And a lot of people are interested. There is a lot of attention on what is going on here and the spotlight of world attention is flicking ever more frequently over this aspect of Orkney life. In this week there have been visits by the Financial Times, RENEWS (an influential trade paper) and another magazine dealing with environmental issues. The Chief Scientist from the Westminster Department of Business Innovation & Skills has spent a couple of days here. Added to that: we have booked appointments for BBC Breakfast to come up and also Radio 4’s World Tonight to do pieces and we are working on a constant stream of international visitors. It really IS hard to work out what is going on as the activity is spreading far and wide. 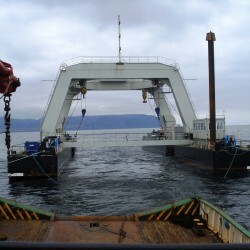 Literally the marine renewables work going on in Orkney is known about all over the world. So the Science Festival session on Friday 6 September is the now effectively annual report to the community of Orkney on the work that IS going on. But with only an hour and so much to cover we can only gallop through the work underway and try and show where this is/may all be heading. Of course there are problems, and the biggest single one is the fact that the grid was never designed to take the power we are now beginning to harvest from the sea. The grid was designed to bring a few Megawatts of power to these small remote islands. It was not designed to deliver industrial quantities of electricity from the centre of the marine renewables powerhouse of the North of Scotland and supply it to the masses further south. Add to that the fact that the grid rules were written to enable the ‘mine it – burn it’ type of electricity production that is being phased out and we have significant hurdles we need to overcome. But at the end of the day we need to remember: We have the energy and we are getting the technology to harvest it. If we want it hard enough we can change the rest. It needs people of vision and determination to work together to break through the barriers. On Friday the 6th you should meet some of them. Neil Kermode’s talk, ’10 Years of Wave and Tide’ takes place in the Town Hall, Kirkwall, on Friday 6 September at 9 pm.